Our general ventilation equipment has a longer service life – and superior performance – compared to our competition. It is economical, yet rugged enough for heavy duty and demanding applications. Multiple propeller options are available to meet your specific needs, and we can provide a customized solution for special applications. In addition, motors and drives are quickly accessible for easy maintenance. Fiberglasss construction is recommended where corrosive elements exist in fume or vapor form. We offer a broad range of products for any corrosive application with time-tested, reliable performance and long-lasting durability. Fiberglass fans are lightweight, yet extremely strong for a long service life. We offer a variety of fiberglass props with an airfoil design, and manufacture the only fiberglass wheel in a solid, one-piece design. We can also provide a moisture-resistant coating (HartKoate) when both moisture and corrosives exist in the airstream. Hartzell Fan can provide heavy duty equipment for industrial demands in a wide range of types and styles for air volume, static pressure, and temperature challenges. We are a one-stop source for all your fan needs. Our innovative, versatile designs and quality construction make our fans built to last and can provide a customized solution for your unique ventilation problems…we have the right fan for every job. Hartzell Fan heating equipment is available with custom capabilities for both heating and cooling needs for a broad performance range. It provides the most efficient method for heating supply air from outdoors and helps other fan systems and process equipment operate more effectively. In addition, re-circulation options available. 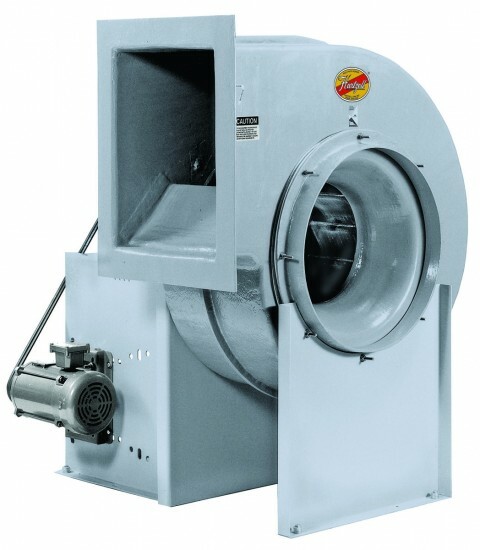 Hartzell Fan can provide industrial air moving equipment to meet your specific requirements. Our marine duty equipment provides reliable, proven performance to meet the specialized needs of the marine market, including all welded marine construction on most models.